–Step into an antique lover’s paradise with Something Different, a delightful shop with items ranging from dishware, long wooden dining room tables, and everything in between. Owners Carolyn and Jim Rivaldi have been in the antique business for over 30 years and put quality and distinctive items on display. “It is a fun, friendly place to shop and it’s a great place to find a unique gift without spending a lot of money,” said Carolyn Rivaldi, who previously owned antique stores in Orcutt and Solvang with her husband prior to opening the Central Coast locations. The Arroyo Grande store opened in 2014, with its second location in Nipomo opening two years later. Some of the most popular items in Something Different are mid-century modern furniture, along with various garden and patio items. Tourists and locals both come admire the goods at Something Different, and there are even some local customers who come in weekly to peruse for the perfect antique item. In addition to running Something Different, the Rivaldi’s also have Heritage House Sales, a property liquidation business that has worked on businesses and personal residences since 1987. “We were doing estates sales first, and clients sometimes didn’t get the best prices for antique items. and we thought it would be great to have a place to market those,” said Carolyn Rivaldi. Something Different, which is comprised of over 40 people in the mall, offers rented space if someone wishes to have a booth or showcase to show their individual goods. They also take pieces on consignment. The mall holds an art gallery and sells jewelry and accessories in a boutique. Make sure to inquire about their newest antique additions, which may hold a special history. In addition, guests can head to restaurants and cafes located close to Something Different to refuel after visiting the shop. Whether one is looking for a small trinket as a souvenir from the Central Coast or admiring a stately piece of grand furniture, Something Different is a prime destination for an afternoon of browsing and fun. 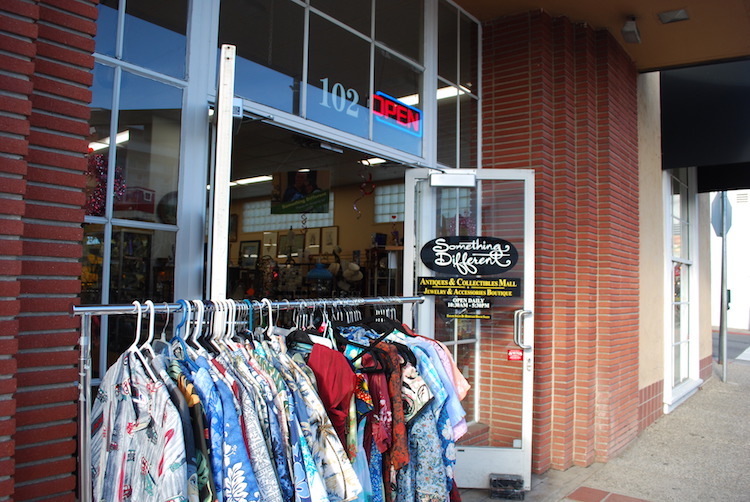 Something Different is located at 102 W Branch Street in Arroyo Grande. Open Monday through Sunday from 10:30 a.m. to 5:30 p.m. The Nipomo location is at 551 W Tefft Street. Hours are the same. For more information call (805) 481-8191 or visit 4somethingdifferent.com.